The United States District Court for the District of New Jersey issued a Final Judgment ordering the Commissioner of the USPTO to "transfer" to Piano Wellness LLC the application of Charlotte K. Williams to register the mark KEYBOARD WELLNESS.COM for "Computer education training services." The Board concluded that the District Court lacked authority to order the transfer of a pending application, but the Board proposed several alternative ways to give effect to the court's judgment. Piano Wellness, LLC v. Charlotte K. Williams, 126 USPQ2d 1739 (TTAB 2018) [precedential]. This Board proceeding, commenced in 2009, was suspended in view of a civil action filed by Piano Wellness, LLC against Applicant Williams. 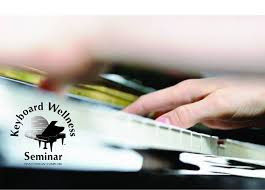 The District Court found that "the trademark 'KEYBOARD WELLNESS.COM,' together with the associated goodwill, is rightly the property of Piano Wellness, LLC." The court directed the Commissioner of Trademarks to transfer the subject application to Piano Wellness, LLC, permanently enjoined Williams from using or claiming any rights in the mark, and entered judgment in favor of Piano Wellness, LLC. See Pinnacle Pizza Co. v. Little Caesar Enters., Inc., 395 F. Supp. 2d 891, 905 (D.S.D. 2005) (“[Section 37] is limited to cancellation of registered marks, not trademark applications.”); Dunn Comp. Corp. v. Loudcloud, Inc., 133 F. Supp. 2d 823, 831, 57 USPQ2d 1626, 1633 (E.D. Va. 2001) (“Because this case does not involve any registered marks, no federal jurisdiction exists to order or cancel a registration under [Section 37].”); Johnny Blastoff Inc. v. L.A. Rams Football Co., 48 USPQ2d 1385, 1386 (W.D. Wis. 1998) (“this court is without authority to direct [the USPTO] to grant or deny the pending applications”), aff’d on other grounds, 188 F.3d 427 (7th Cir. 1999)). The Board recognized that a district court may "determine the right to registration" of an applied-for mark, as it did here. But when it determines that an application should be transferred, the source of its authority is not Section 37, "but rather its plenary power to order to parties to take the steps required to effect the transfer." Here, for example, the court could direct Applicant Williams to assign the application to opposer and to record the assignment with the USPTO (or it could appoint opposer as attorney in fact for applicant for purposes of the recordation of the assignment). Secondly, the Board pointed to another mechanism by which the court's judgment may be given effect. Under Section 18 of the Trademark Act, the Board may, upon motion of any party before it, amend the ownership of an application pursuant to the Board's authority to "register the mark or marks for the person or persons entitled thereto, as the rights of the parties . . . may be established in the proceedings." See also 8440 LLC v. Midnight Oil Co., 59 USPQ2d 1541, 1542 (TTAB 2001) (Board has authority to amend the application to reflect the proper owner); Chapman v. Mill Valley Cotton, 17 USPQ2d 1414, 1415 n.2 (TTAB 1990) (same). As a third alternative, the Board could, upon motion, sustain the opposition - which would have the effect of an abandonment of the application - in view of the District Court's permanent injunction against Applicant. The Board allowed Opposer thirty days in which to inform the Board as to which of three alternatives it wished to pursue. TTABlog comment: Opposer chose door number two. On June 29th, it filed a motion under Section 18 to amend the ownership of the application. I guess by now the winning party chose door number 2, as you report. But wouldn't there have been a fourth option? Would it not have been possible simply to allow time to pass and eventually a registration is granted and then the District Court could have ordered a transfer of ownership? And how about a fifth option. The District Court could have entered an Order saying whatever the Court wished to say. Assignment along with goodwill, assignment along with the business to which it pertains, whatever. And then the winning party could simply have gone to ETAS and recorded that Order. And then obtained a reel and frame number, and then it would be a done deal, seems to me.